The Airedale Symphony Orchestra is one of 100 orchestras across the world performing Laura Rossi’s acclaimed score for the iconic 1916 silent film ‘Battle of the Somme’. 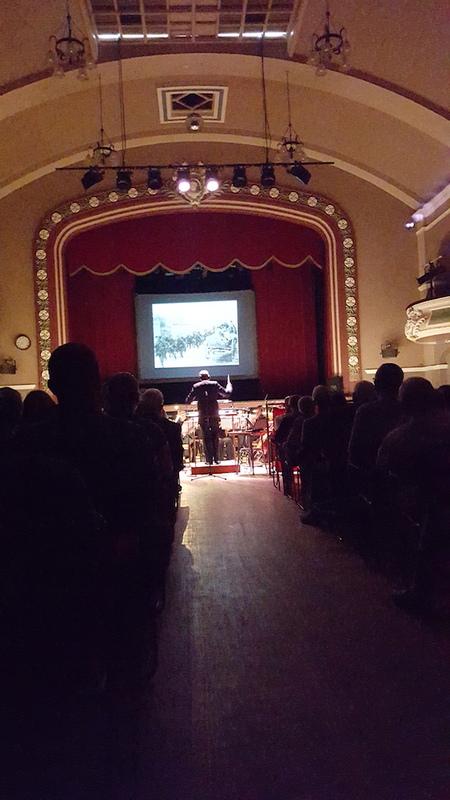 This very special showing of the digitally restored film – with live orchestral backing – is dedicated to the the many who made the ultimate sacrifice on the Somme battlefields between 1st July and 18th November 1916. The composer Laura Rossi and a curator from the Imperial War Museum will be attending the performance. 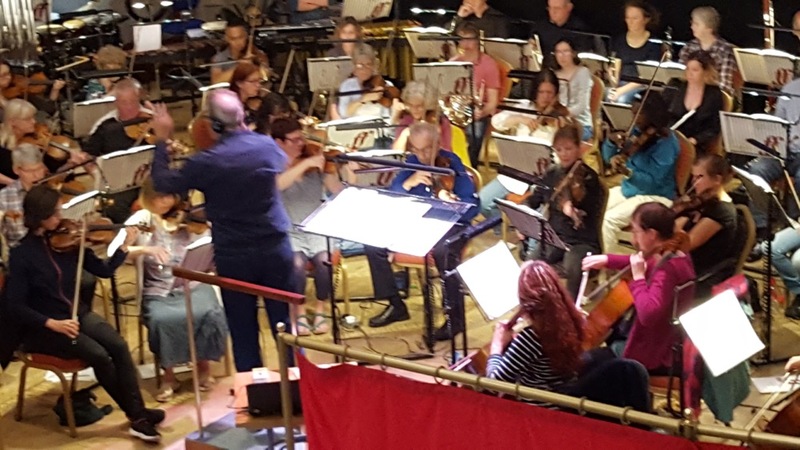 John Anderson, conductor of the Airedale Symphony, has announced that the orchestra’s rehearsal in the King’s Hall will be open to school students from 2pm to 3pm. 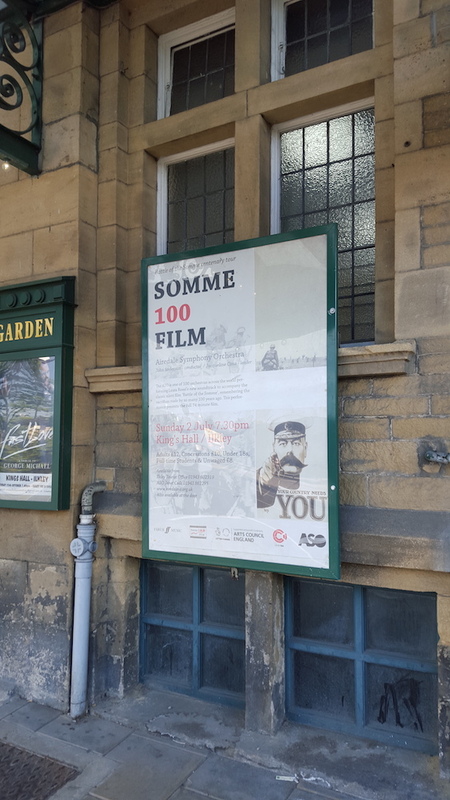 Laura Rossi will be present to explain the background to the huge international project commemorating the centenary of the Somme. Forty complimentary tickets have been set aside for school students wishing to attend the evening concert. These tickets will be allocated on a first come-first served basis to those students attending the open rehearsal. 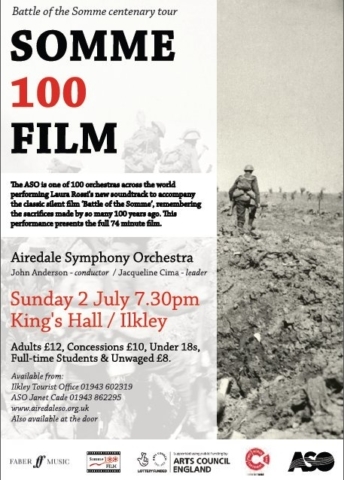 John said: “This will be a very moving experience and a unique opportunity for the people of Ilkley to experience the classic silent film accompanied by a 70-piece orchestra”. 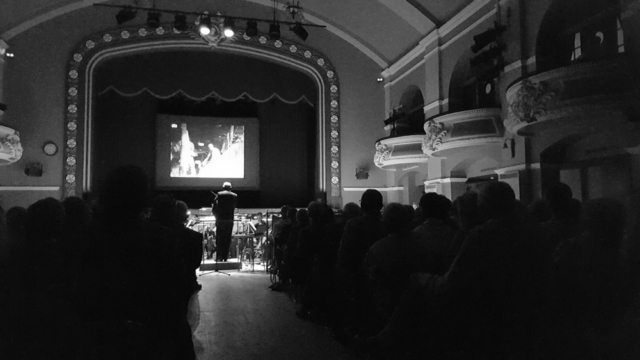 The 1916 Battle of the Somme was captured in soft-grained black and white by Geoffrey Malins and John McDowell for this amazing 75 minutes-long silent film. Planned initially as morale-boosting wartime propaganda, the Somme film was seen by almost half the UK population. Millions packed cinemas across the land in the hope of catching glimpses of loved ones on the battlefield. Such was the film’s appeal that audience figures remained unsurpassed for six decades – until the release of Star Wars in 1977. Laura Rossi’s resourceful symphonic score sensitively and lovingly matches the interwoven tapestry of Malin and McDowell’s harrowing footage of dead and wounded as well as the smiles and cheery waves of the troops, or jubilant battlefield preparations. The launching of a preliminary attack by avalanches of so called “plum pudding” bombs – designed to eradicate the German barbed wire defences – is heralded by suspenseful hovering strings and the eerie-sounding gale from a wind machine. Full orchestra with thunderous timpani depict gunfire and heavy artillery. Plangent oboe and crystalline harp textures accompany recovery of the wounded on stretchers, images of dead horses or the regimental dog and its beloved master fallen in battle. Rossi had earlier set the scene by reading poignant passages from her great-uncle’s battlefield diary. 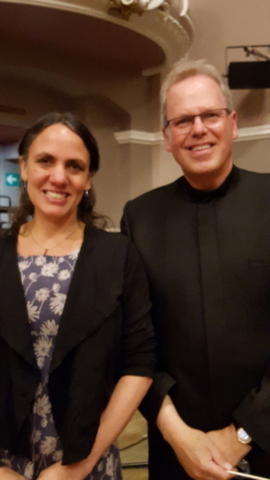 She must have been both moved and delighted by the Airedale Symphony Orchestra’s luminous and impeccably synchronised performance conducted by John Anderson. A large audience was held in thrall by the overwhelming power of the film and Rossi’s atmospheric soundscape.